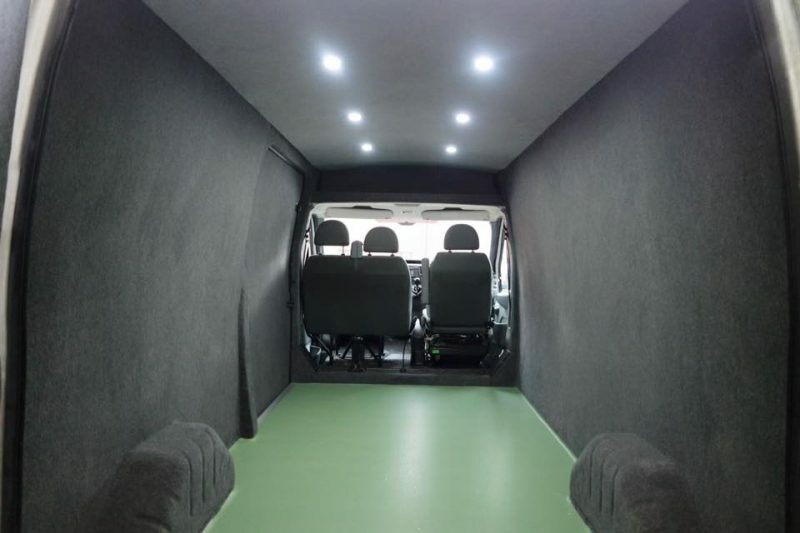 Carpet Lining is the starting point of turning your van into a campervan. You’ll be amazed at the difference simply Insulating, Ply Lining and Carpeting makes. It makes your van warmer, quieter and much nicer looking. Carpet Lining comes in three colours, Silver, Smoke Grey and Anthracite. Beige is also available by request. Insulation, Ply Lining and Carpeting includes Recycled Plastic Insulation in sides and roof, replacement side panels in 5-6mm ply and carpeting of sides and roof in your choice of colour/s. Many people mix and match the colours, keeping the roof light to tie in with the cab headlining and chose a darker colour for the walls. We can carpet other vehicles by request.